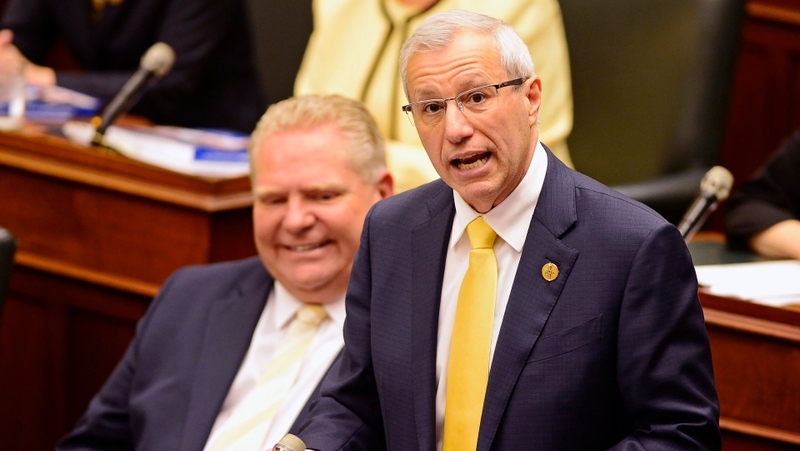 Specific mentions of Windsor-Essex and Chatham-Kent were hardly noticeable in the first budget delivered by the Doug Ford government. The $500,000 renovation project at the Wallaceburg hospital was mentioned by Finance Minister Vic Fedeli when discussing health care. But the new mega-hospital for Windsor-Essex was not mentioned. Still, officials at Windsor Regional Hospital say there is no need for the community to worry about the project, estimated to cost $2 billion. President and CEO David Musyj tells CTV Windsor the plan is still on track. “It (the budget) does mention that there's 60 projects of hospital infrastructure that are going to continue, which one of course is ours in Windsor-Essex so that's very positive news,” says Musyj. Musyj adds the Ford government's injection of $1.4 billion into the health care system is good news. That restructuring includes consolidating the province’s 35 public health units into 10 regional agencies by 2021. Essex County Warden Gary McNamara says news the health unit as we know it today may vanish. There is also no mention of the Highway 3 expansion project from Essex to Leamington that was promised by Doug Ford during the election campaign. Transportation Minister Jeff Yurek hinted while in Leamington last week for the launch of the Pelee Islander that some news about Highway 3 would be coming soon. Essex MPP Taras Natyshak is critical of the omission in the budget. McNamara isn’t giving up hope that Ford will fulfill his campaign promise. McNamara adds he will press for the Highway 3 project at the next AMO conference in August. The budget did mention widening and improving safety on Highway 401 on 128 kilometres from four to six lanes from Tilbury to London. Members of the grassroots group say they are “cautiously optimistic” about the news. Another transportation project for the region appears to be shelved. Instead, the government says it will look for ways to enhance service and speed times for existing railway corridors. The previous Liberal government had committed $11 billion to connect Toronto to London with high speed rail by 2025, with a line extending to Windsor by 2031. Natyshak along with fellow New Democrat MPP’s in Windsor-Essex Lisa Gretzky and Percy Hatfield released a joint statement, saying the region was hit especially hard by the Ford budget. “The cruel, $1-billion cut to social services will hurt people in our community living with a disability and increase the already high number of people experiencing poverty and homelessness,” said Gretzky. “There’s nothing in this budget to boost Windsor’s auto sector, or protect local auto workers from even more jobs being put at risk,” added Hatfield. Unifor leaders watched the budget in Windsor on Thursday and say they are disappointed. The budget did outline $40 million over three years for research and development in the auto sector. But Unifor Local 200 President John D'Agnolo said workers in the auto-sector didn't get the attention they deserved. “You talk about the social services that they're going to need and they made cuts to social services," said D’Agnolo. 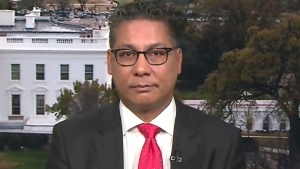 "This budget was absolutely disappointing." 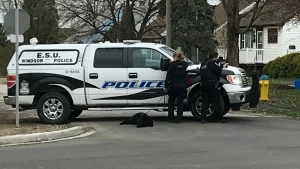 But Chatham-Kent-Leamington Progressive Conservative MPP Rick Nicholls said in a statement that the budget helps balance the books while protecting critical frontline services. The budget also includes a child-care tax credit, providing up to $6,000 per child under seven and up to $3,750 per child between seven and 16, on a sliding scale for families earning less than $150,000 annually. 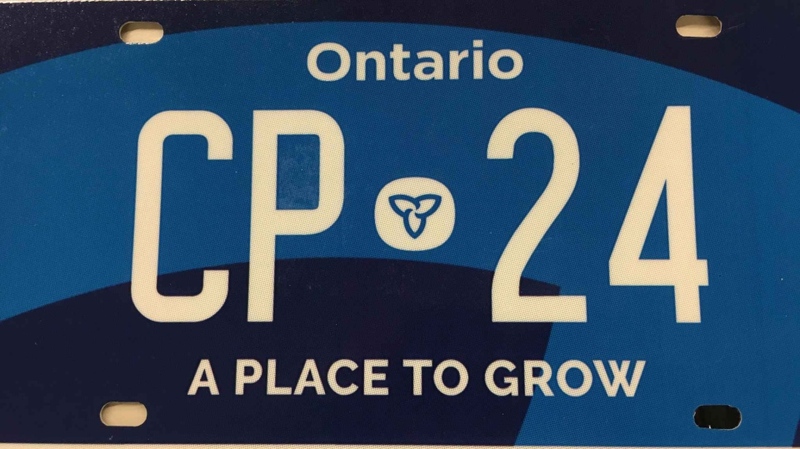 A mock up of a new Ontario licence plate, announced as part of the Progressive Conservative's 2019 budget on April 11, 2019.